Southern Hampshire CAMRA runs the annual Pub of the Year competition in order to recognise the pub which our members believe to be the best real ale pub in the area. 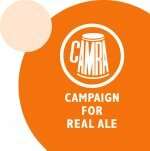 This is also the first stage in a series of competitions which help decide the CAMRA national Pub of the Year. Our Pub of the Year 2019 is... Steel Tank Alehouse, Chandler's Ford. Congratulations! The Steel Tank Alehouse will go forward to the Wessex Regional Pub of the Year competition - the next stage in CAMRA's annual national pub of the year competition. In October 2014, we voted at our branch meeting to change our Pub of the Year selection process, aligning the selection criteria with that which will be applied in subsequent rounds of CAMRA's national Pub of the Year competition (which judges a pub on many criteria including: Quality of Beer/Cider/Perry, Style, Décor, Furnishing, Cleanliness, Service, Welcome, Product Offering, Community Focus, and Atmosphere). The online voting will now be used between November and January each year to vote for a short-list of four finalist pubs. Only pubs that have been nominated for the next Good Beer Guide through our Pub Reports mechanism will be eligible for voting. Votes can be made by both members of Southern Hampshire CAMRA and members of our land-based neighbouring branches (in order to ensure fairness for pubs near our branch borders). 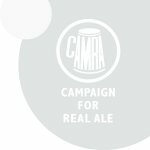 After the short-listed finalist pubs have been determined, a team of four judges will each visit all four of the pubs and judge them against CAMRA's national Pub of the Year criteria. Votes are predominantly made online, but card-carrying CAMRA members of eligible branches can also vote in person at our branch meetings.